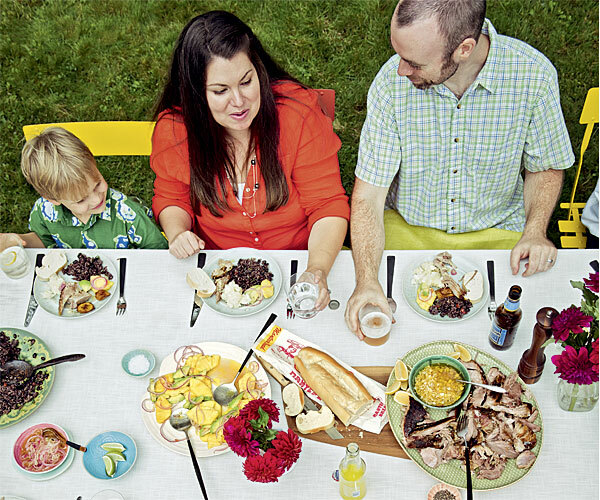 Test kitchen manager Juli Roberts celebrates summer with a barbecue featuring the bold flavors and bright colors of her mother’s native country. My mother was born in Cuba, but fled the island country with her mom and her sister in 1959. Although she’s never gone back, she’s always shared her heritage with us through food and through connections with the large Cuban community in Queens, New York, where she, my aunt, and my abuela (grandmother) settled and where she met and married my dad (who’s Costa Rican). When my brother and I were kids, my parents would take us to Cuban gatherings in Flushing Meadows Park, where we’d gorge on traditional foods. There, sitting around a big table on a hot blue-sky day, with the scent of barbecue in the air, listening to the slap of dominoes keeping time with the mambo music and catching up with friends and family in loud and fast Spanish, I could get a glimpse of what life in Cuba was like—the good parts, anyway. Now that I’m married with kids of my own, I’m the one who hosts our multigenerational family gatherings. 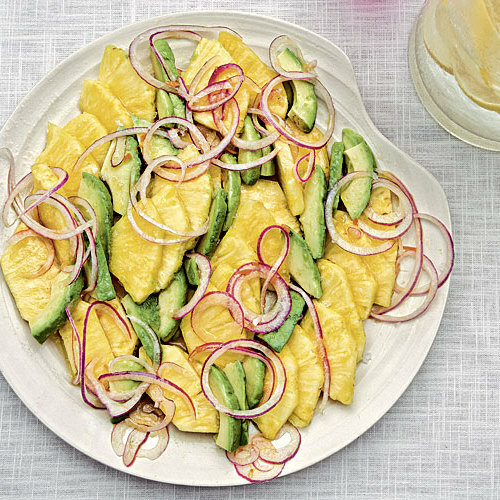 Though my parties are no longer exclusively Cuban (my husband is Scottish), I serve the same dishes we enjoyed in Flushing Meadows, like a refreshing pineapple and avocado salad and congri, the most soothingly delicious food you’ll ever eat, even though it’s simply beans and rice. 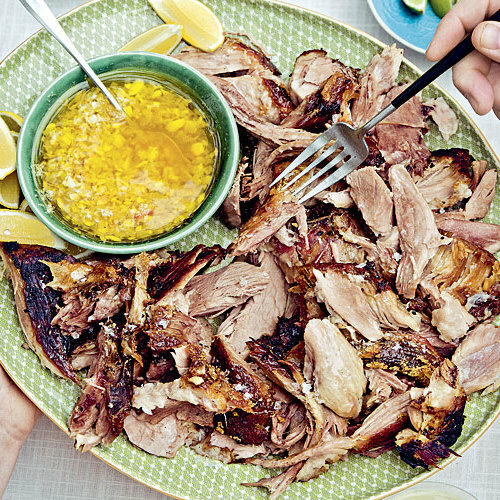 The centerpiece of the meal is a slow-cooked pork shoulder bathed in a garlicky, citrusy mojo, which could be called Cuba’s national sauce. As the pork gently cooks on the grill, its skin crisps up to crackly goodness. Those in the know stay close by when the pork comes off the grill because they realize a treat is coming their way. Before serving the meat, I take the crisp skin off and cut it into bite-size pieces perfect for dipping into the mojo. There’s usually not enough chicharrones (pork cracklings) for everyone, and they go fast. The rest of the meal is served family-style. As the platters are passed around, there are a dozen different conversations going on, yet somehow everyone’s involved in all of them. It gets a little quieter only when the plates are full and we’re too busy eating to talk (at least not quite as much, anyway). 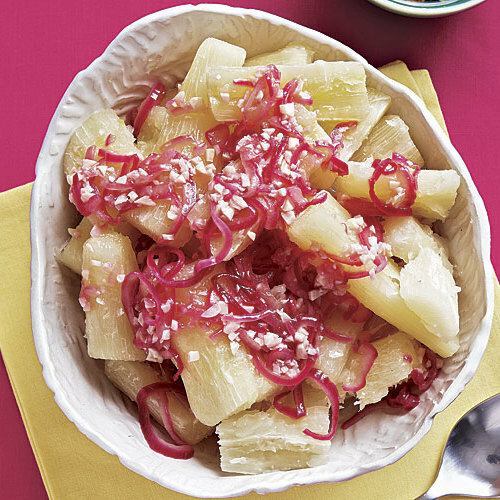 Make the congri (do not add the cilantro) and refrigerate in a covered container. 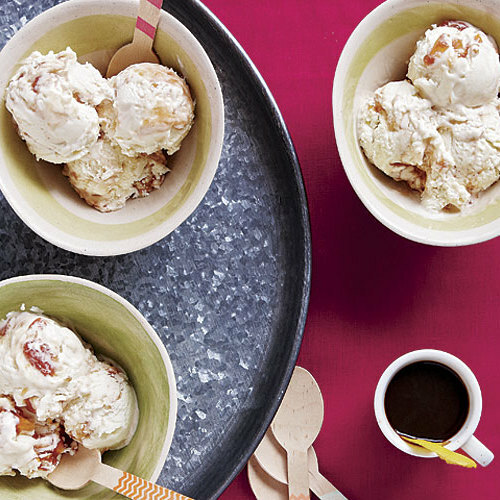 Make and freeze the ice cream. Prep the pork with the mojo. Cover in plastic wrap and refrigerate. Remove the pork from the refrigerator and set up your grill. 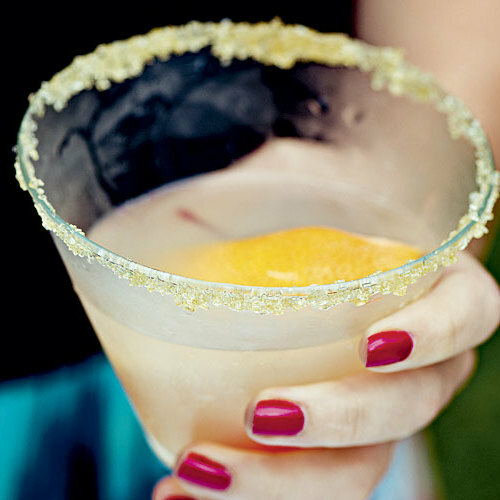 Rim the cocktail glasses and put them in the freezer. Cook the reserved mojo from the pork with the onion, olive oil, and lemon juice. 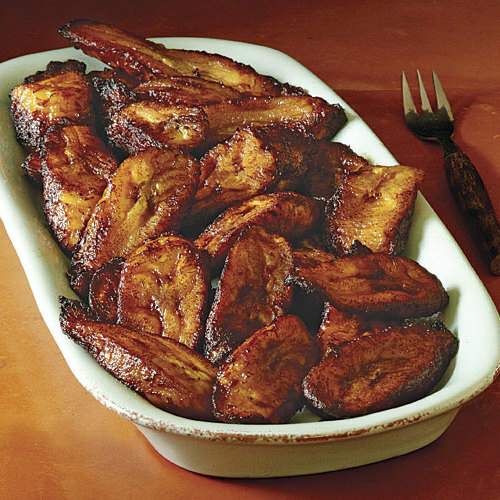 Fry the plantains; set aside uncovered at room temperature. When the pork is done, remove from the grill and tent with foil. Cut the pork cracklings into pieces and serve. Reheat the congri in a microwave. 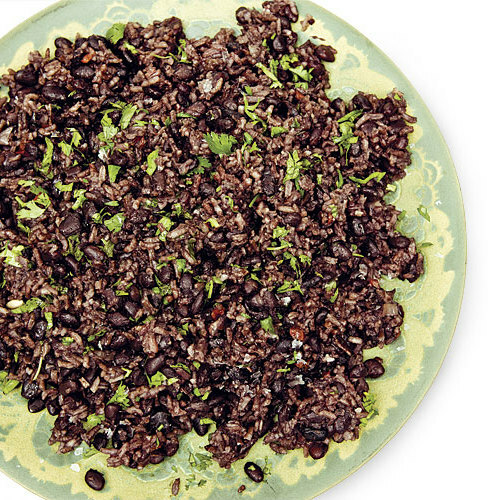 Stir in the cilantro and drizzle with olive oil. Reheat the plantains in a 350°F oven for 10 minutes.